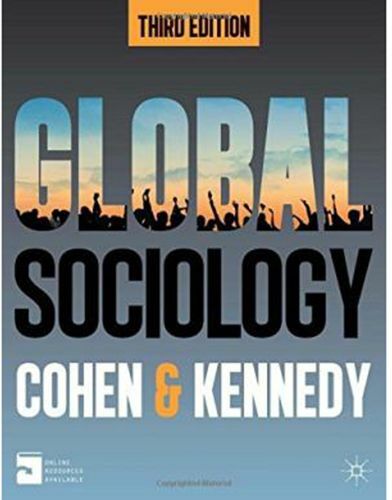 Global Sociology is the authority on global issues in contemporary society, introducing key sociological topics, themes and debates from a consistently global point of view. Deep connections are made between the 'everyday' and globalization processes, with focus on how individuals perceive, react to or cope with incoming global forces and incorporate them into their private worlds. Global Sociology: Offers strong coverage of contemporary topics, such as intimacy, financial sociology and the environment takes an unbiased approach which encourages critical thinking, optimism, and social consciousness provides an explicitly sociological focus alongside political, cultural, economic and anthropological perspectives, highlighting how concepts from these disciplines interact. The new edition has been thoroughly updated to include: Discussions of recent topics and events such as the recession, new uses of social media, the Arab Spring and the Occupy movement. New sections on finance and economic sociology, family, technology, and the environment. More in-depth debate on sociological theory and discussion of key sociological terms. A new 'A pause to reflect' feature which encourages students to engage critically with chapter content.